Pre-order Issue 1 and get the digital editions free! 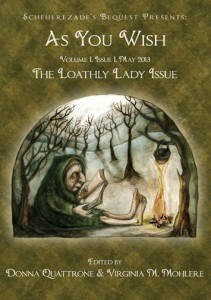 The much-anticpated first print issue of Scheherezade’s Bequest, As You Wish: The Loathly Lady Issue, is now available for pre-order. The official release date is 30 May — we pushed it back because of a last minute surprise. The table of contents has been updated to include a special contribution from renowned photographer Brooke Shaden, whose website you can visit here. Read more about this issue and see the updated table of contents here. If you pre-order your print copy now, you’ll receive the digital editions free (and immediately!). The digital package includes the EPUB, MOBI, and PDF for those of you who do not have an e-reader. This offer is only good through May 30, and is only available directly from the publisher, Papaveria Press. To pre-order your copy, please visit Studio Circle Six. 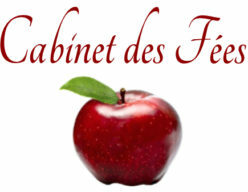 Thank you for your wonderful comments and for your support of Cabinet des Fées! Posted on May 20, 2013 July 4, 2015 Author CdFCategories Our Grim(m)oire2 Comments on Pre-order Issue 1 and get the digital editions free!